It'll be a day for talking dolls, vengeful ghosts, and talking dolls possessed by vengeful ghosts. Orion Pictures' Child's Play reboot has received an official release date. The Aubrey Plaza-starrer will hit screens on June 21, 2019 — the same day as a couple of other notable releases. In a weird bit of serendipity, the film will open against Pixar's hugely-anticipated Toy Story 4 and Sony Pictures' reboot of The Grudge, which are both also slated for release on June 21. Slotting Child's Play against such formidable competition is the strongest indication yet of Orion's confidence in the picture, which is killer doll Chucky's first outing not to feature any involvement from series creator Don Mancini or longtime Chucky voice actor Brad Dourif. Plaza will take over the lead role of Karen Barclay, the well-meaning mother who accidentally gifts her son Andy with a force of supernatural evil for his birthday. Lights Out actor Gabriel Bateman will portray Andy, while Brian Tyree Henry will co-star as Mike Norris, the police detective tasked with getting to the bottom of the string of murders committed by the doll. Thus far, there has been no word on who will take over for Dourif, who voiced Chucky in the original film and all six of its sequels. As we previously reported, the reboot has been greeted by a fair amount of disdain from Mancini — but fans have every reason to trust that the picture is in good hands. It's being directed by Lars Klevberg, a promising talent whose completed debut feature Polaroid has been hung up for quite some time due to the tumult surrounding its studio, Dimension Films, the imprint co-owned by Harvey Weinstein. The intriguing trailer for Polaroid dropped in late 2017, shortly before the torrent of sexual abuse allegations against Weinstein began pouring in. In September of this year, Comicbook.com reported that Netflix was in talks to acquire the film. Klevberg recently told Bloody Disgusting that he hoped to honor Mancini's original vision with his take on Child's Play. "Everyone is a huge fan of Don Mancini," the director said. "We are extremely grateful to him and will always be. He's someone I look up to… [The reboot is] going to be scary, and it's going to be surprisingly emotional, and we also want it to be fun. So, it's a really good mix." 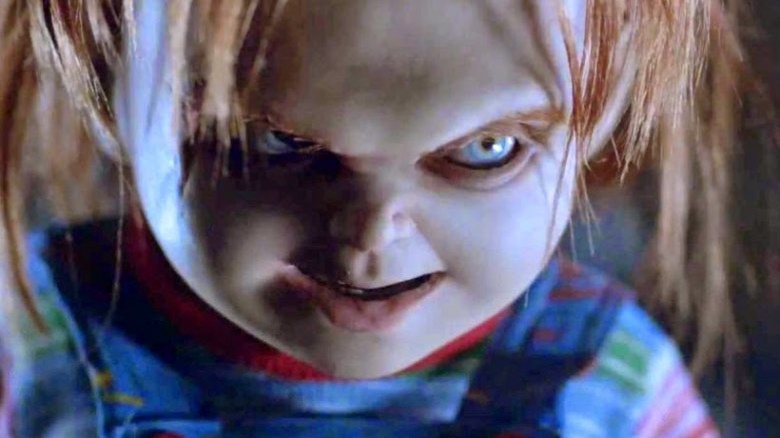 Another reason for Chucky aficionados to be excited: the involvement of producers David Katzenberg and Seth Grahame-Smith. Under their KatzSmith Productions banner, the duo co-produced last year's It: Chapter One, which surpassed all expectations both with fans and at the box office. If they can do for Chucky what they did for Pennywise, then we could be in for one hell of an inspired reboot. Here's hoping that recent history repeats itself. Attempts to reboot '80s horror franchises Friday the 13th (in 2009) and A Nightmare on Elm Street (in 2010) fell notoriously flat, but this year's Halloween — although technically a sequel, not a reboot — proved that a lovingly crafted take on an iconic horror series by talented filmmakers can satisfy loyal fans while making an absolute killing at the box office. Child's Play is currently in post-production, so we're bound to get a trailer sooner rather than later. In the meantime, go ahead and mark June 21, 2019 on your calendar — unless you're really freaked out by dolls, ghosts, or both. In that case, you'll definitely want to stay home that weekend.